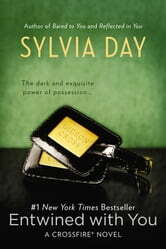 The worldwide phenomenon continues as Eva and Gideon face the demons of their pasts and accept the consequences of their obsessive desires in the third novel in the #1 New York Times bestselling Crossfire series. From the moment I first met Gideon Cross, I recognized something in him that I needed. Something I couldn’t resist. I also saw the dangerous and damaged soul inside—so much like my own. I was drawn to it. I needed him as surely as I needed my heart to beat. Excellent novel, very well written. Will start reading part iv. Absolutely love all of these books!!!! Can not get enough!!!! !